The road leads to a long pier that stretches out into the water. 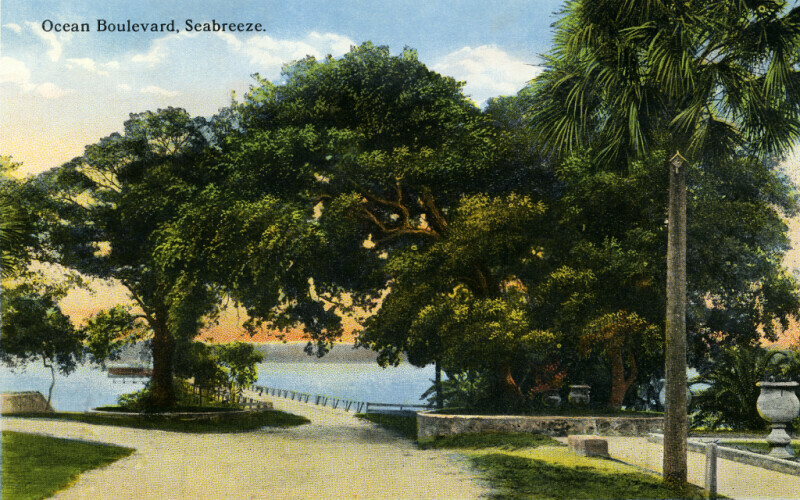 To either side of the entrance to the pier, there are oak trees that are protected by a low, stone, retaining wall. To the right of the road, there is a tall sabal palm. A narrow walkway, and pedestaled stone plant planters, suggests that there is a park to the right of the viewer. WARNING: You are about to download a 5.7 MB TIFF!